The GPU mining is still not dead, however the part where people would go on building new mining rigs with multiple video cards like they did with Radeon R9 280X, 290 and 290X is kind of in the past, or at least for the moment. The community working on AMD mining software has not been very active lately, not like the Nvidia where we have seen a lot of improvement in the miners in terms of hashrate and functionality over the past few months. 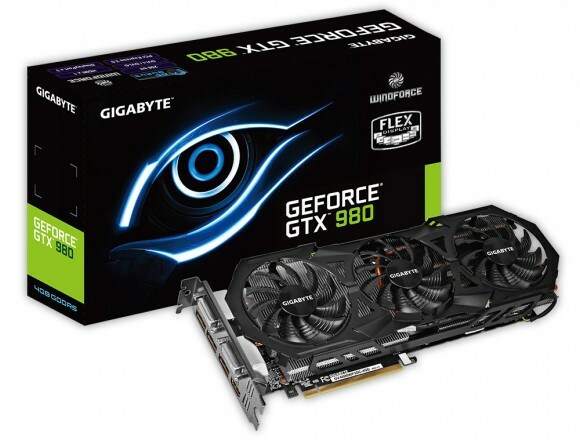 It was started with the release of the GTX 750 Ti and then the new Maxwell-based GTX 970 and GTX 980 cards, but with the new more powerful cards from Nvidia you can just upgrade and use a single card for gaming and when you are not playing games to leave your system mining some crypto coins. Sure, using a single card will not make you rich from the miner coins, but you can keep the hobby mining part and still have a great gaming video card when you want to play games on it. You can go with two cards in SLI for even better gaming performance and more mining power and the idea is that over the course of time you could at least get back the money you paid for the cards back via the mining. So it all might not be a bad deal for people that are mining as a hobby and are also gamers, unlike GTX 750, the GTX 970 and GTX 980 are much more powerful and perfect choice for the more demanding games. We would recommend to go for non-reference design cards such as Gigabyte’s G1 GTX 970 and GTX 980 cards or other models with Windforce cooler for example, the non-reference high performance coolers do well with overclocking while still remaining pretty silent while operating under load.